We write to protest the denial of entry to David Barsamian by Immigration Authorities at the New Delhi airport in the early hours of September 23, 2011, and we write to draw attention to the growing arbitrariness of the Indian Government in dealing with dissent of any kind. 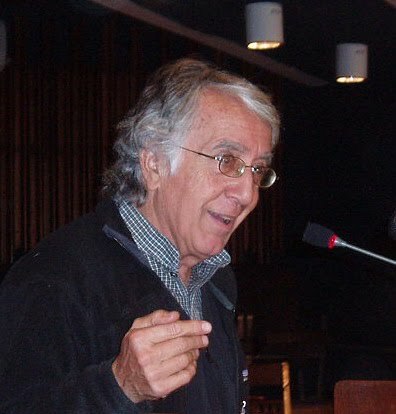 David Barsamian is a veteran broadcaster, and founder and director of Alternative Radio, a weekly one-hour public affairs program offered free to all public radio stations in the US, Canada, Europe and beyond. For more than 25 years Alternative Radio has provided information, analyses and views that are frequently ignored in other media. Structured around intensive interviews conducted by David Barsamian, these programs are carried by over 125 radio stations and heard by millions of listeners.He is the author of numerous books with Edward Said, Eqbal Ahmad, Howard Zinn, Noam Chomsky, Arundhati Roy and Tariq Ali. David is a friend for many of us, but he is an older friend of India. He first came as a young man in 1966, and has since returned innumerable times, immersing himself in its music, languages and poetry. He has taught himself Urdu and Hindi, learned to play the Sitar, and closely follows events in the sub-continent. When he was deported on September 23 he had a visa which was valid for another 5 years, and although he last visited in February 2011, he had no intimation or warning that he was in violation of any of the conditions under which his visa was issued. The only thing that the Immigration Officers were able to tell him was that he was “banned” from entering the country, and that the reasons were a “secret”. The deportation of David Barsamian unfortunately mirrors the manner in which Prof Richard Shapiro was arbitrarily stopped from entering India in November 2010. We are dismayed that this power to send people back from the airport is slowly becoming a weapon, used to discipline and silence people who draw any kind of attention to uncomfortable truths about India. A year later Prof Shapiro still has no formal response on why he was stopped, and when he can regain his right to travel to India, where he has family. We therefore ask that the ban on David Barsamian and others like Richard Shapiro be revoked, and the Government of India not impede their return to India. We demand that the right to travel and the right to free exchange of ideas between scholars, journalists, artists, and human rights defenders be respected and protected, and that government agents not authorize the denial of entry and eviction of visitors to India, or monitor their movement. Free exchange of ideas is one of the most basic human rights and values in free democratic societies. Freedom of travel is one of the most important avenues for furthering such exchange among peoples. Recognizing this, the International Covenant on Civil and Political Rights, which India has ratified, protects freedom of expression, right to travel and scientific exchange.